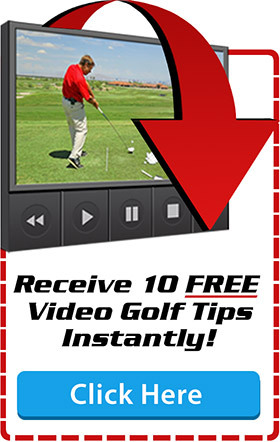 Your recent related tip about moving your head over your back instep and keeping it there until you’ve hit the ball and then move forward into your circular rotation. I’ve been trying this with some success but occasionally I feel I’m getting stuck a bit on my back foot and then I pull it right (I’m a leftie). I’ll stick with it as it does feel right when I’m swinging well and it does eliminate the pulls which are my main fault. I I’m not having trouble with this, but with a back swing trigger. Is turning my right hip behind me and getting my back to the target ok? No, this is not good because you are not going to have enough torque. No torque means no spring-like effect. No spring-like effect and you will hit with the arms. You need minimal lower body rotation as you coil back the shoulders. The shoulders will pull the hips into position. The hips will pull the knees. This will give the correct ration between shoulders, hips, knees and feet giving you the torque. I tried it and you are absolutely spot on (no surprise there) but it also seems to apply to the down swing. i.e. : swinging the horizontal club through and round on a near horizontal plane is easy when touching the knees, but very difficult if one hangs back on the rear leg. Interesting. I wasn’t even thinking about backswing. Maybe this is a way to get people to stay behind it. I am going to have to do more swings like this to see if it will help. Yes, you need to get off this back foot. Hanging back is not good either. Thanks. This tip, as with all of your tips, is of great interest to me. Thanks for all of your demos throughout the years. I have two questions: One that relates to this head movement and another on your chipping techniques and implementation of those instructions. 1; Most if not all of my wood and Hybrid shots are low, line drives. Drives me nuts but it is what it is. My Driver has 8.5 degrees of loft, the 3 wood has 13.5 degrees of loft, The 915 4 Hybrid has 24 degrees of loft and the 915 2 Hybrid has 18 degrees of loft. Will this help me to hit the balls on a more upward plane? 2; My local Pro has me “toeing” or raising the hosel prior to my actual swing and cutting grass with the practice swings as opposed to chunking the club into the ground at strike point. This seems to give me an equal back and follow through to my chip. Do you have another suggestion to keep me from this poor hit? 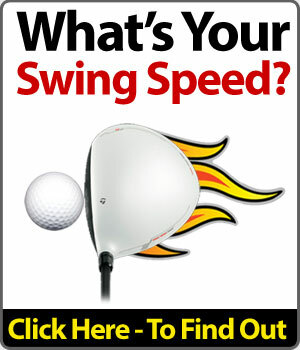 Line drives (not thin) you are de-lofting the club. There are only a few ways to do this. 1. Ball too far back. 3. Too much weight on the forward foot through impact. You shouldn’t be using an 8.5 You need a 10.5 driver. Just follow my chipping technique. 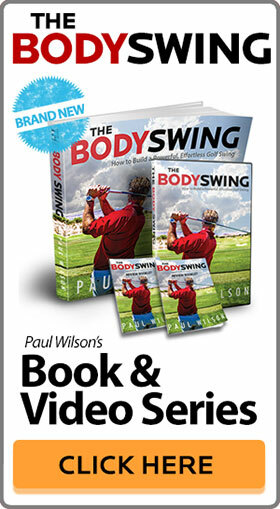 If you are hitting it fat you are shifting the weight to the back foot as you the chip. Keep the weight 70% on the forward leg and keep it there. Do my grip and set up. Then use your putting stroke. Simple and highly effective. You really shouldn’t be having an issue with this at all. I think I taught it to you.